In Malacca,besides hunting for Nyonya Food & Chicken Rice Balls, the other must eat will be Satay Celup. No trip will be complete without trying their signature dishes. 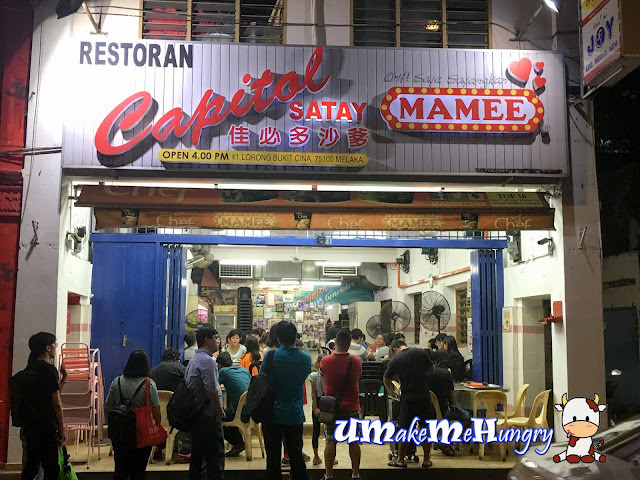 Given its popularity, many locals as well as tourists flocked to Restoran Capitol Satay and they are opened as early as 4pm. Even so, one is expected to wait in the queue. Service of Capitol Satay is efficient. As soon as we got our seats,they are fast in replacing the bucket of peanut sauce from the previous diners. Soon other the replacement, you can see how these guys work in team to ladle up scoops of peanuts and sugar from the side benches and into our serving bucket. 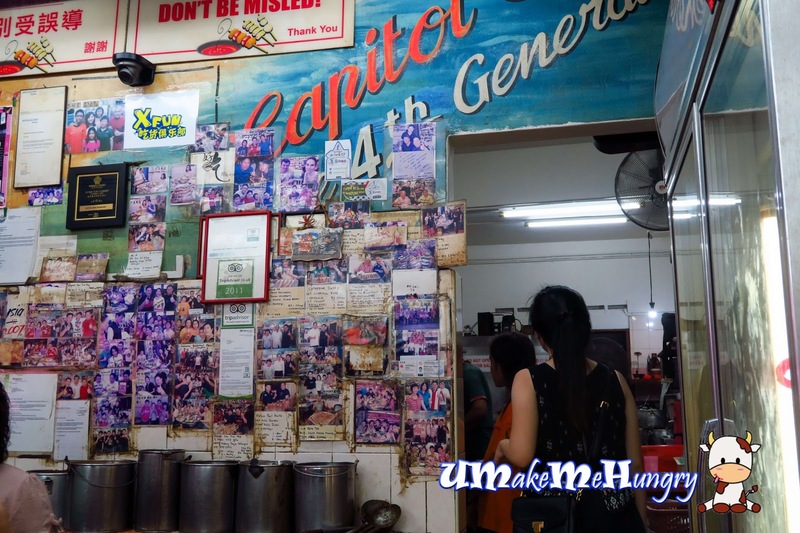 Capitol Satay has an open buffet concept for diners to pick out their skewers to their tables. It's not very hygienic but that's the nature of satay celup. I noticed that the food's very fresh though, no stale, fishy smells or sour tastes. 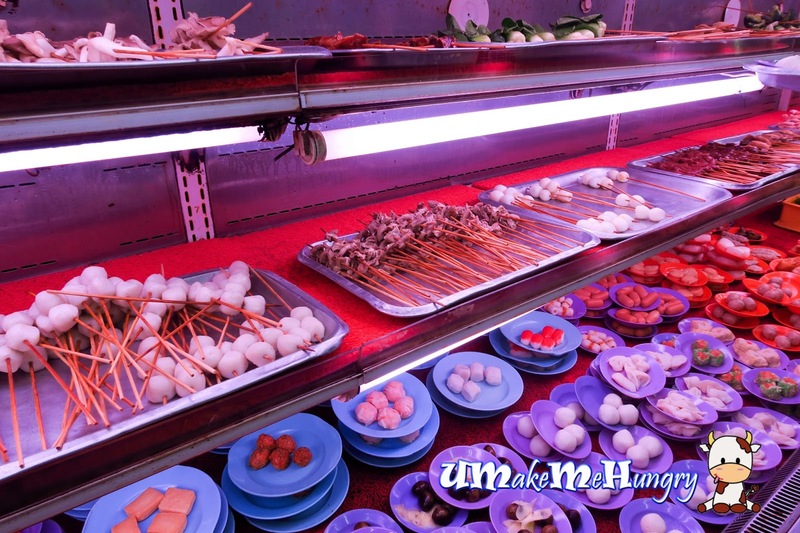 Satay Celup's concept is buffet style and allow diners to pick out their skewers. There are a good varities of skwered seafood, vegetables and meat. The gravy is thick and sweet. We dip all our skewers into the hot pot and over the fire waiting for it to be cooked. 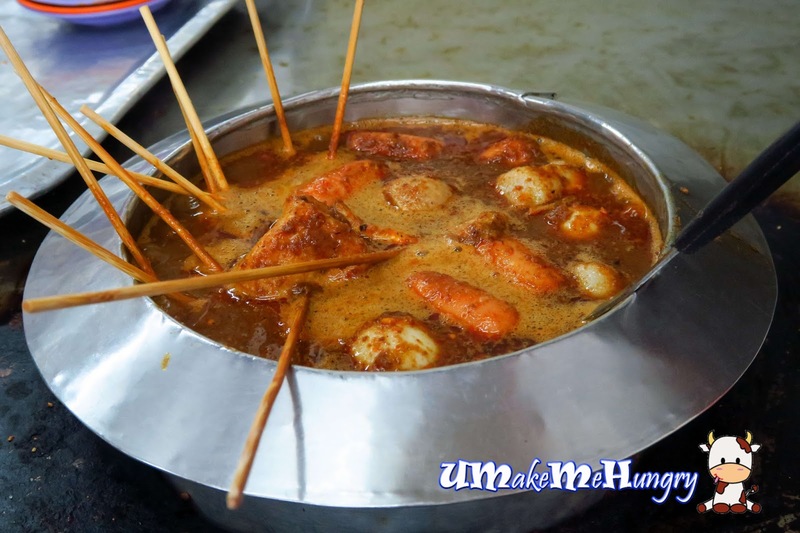 On a side note, i remembered the last round in Malacca, we had Satay Celup at another place and they will ask if we will like to reuse the peanut sauce or top up money for new peanut sauce. 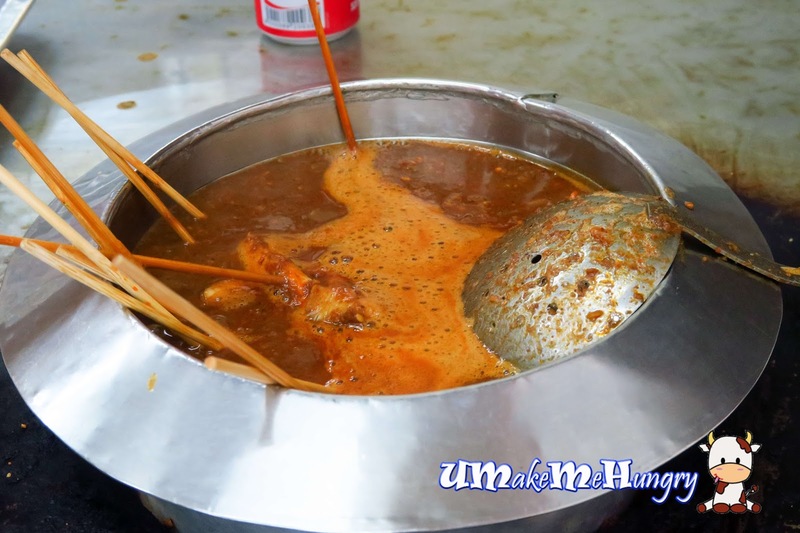 However in Capitol Satay, we were not sure if this bucket of peanut sauce is brand new. 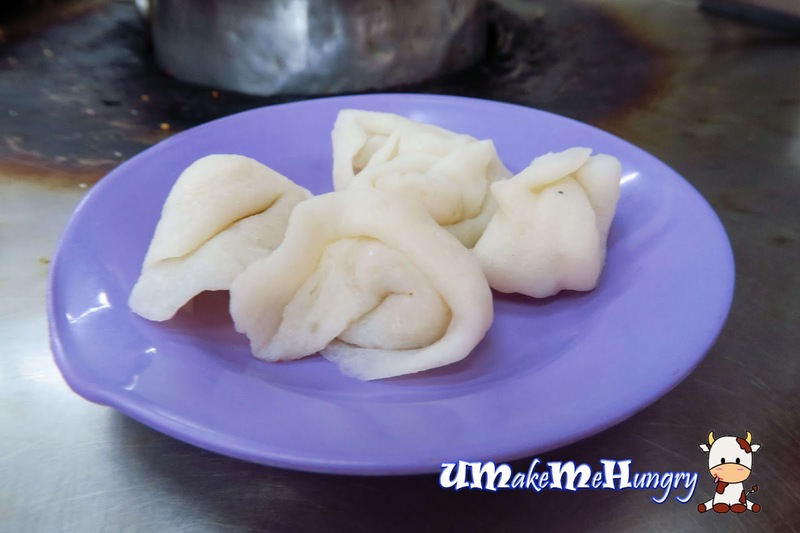 With our seats so near their kitchen, we have peeped into the kitchen on how they prepare their food. Perhaps after one round and observing their surroundings, I find it hard for me to make a return.